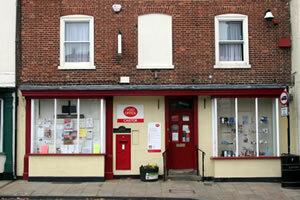 Martin Sizer & Kaye Lee welcome you to Caistor Post Office, we are a family run business and our main aim is to provide our local residents with not only the excellent resources of the Post Office but also to provide a complete range of Stationary, Greeting cards, gifts and our latest addition of Helium Balloons. Customer service is at the forefront of our priorities and we want our customers to feel they have experienced a top quality buying experience with good value for money products and services. All our staff is from Caistor and surrounding villages providing a local service for local people as well as our visitors who are always very welcome.